It is very rare to see Nicole Richie out in the L.A. club scene now a days but she made an exception this week as she headed over to foxtail lounge in west Hollywood accompanied by Joel Madden. 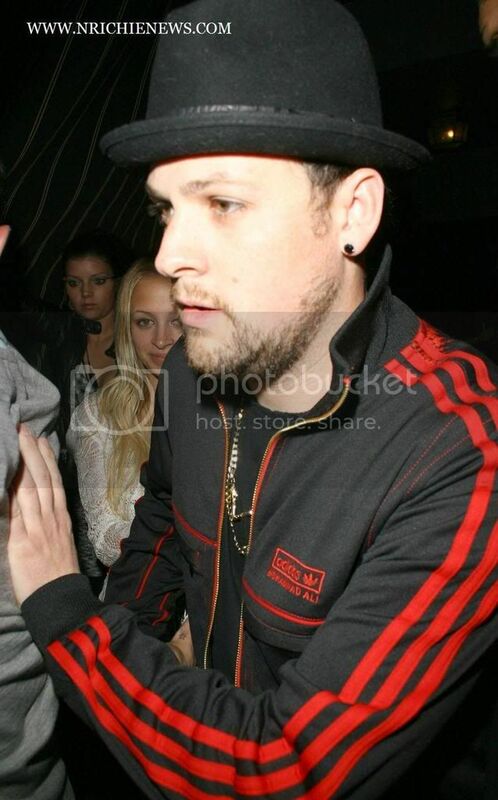 They weren't the only celebs there that night many other people attended including Benji Madden, Paris Hilton, Adrian Grenier and Amanda Bynes. Benji apparently ran over a paparazzi's foot with his car whilst leaving foxtail's that night. Nicole was looking great in a white crochet top and simple black pants. Are you loving Nicole's hair and centre parting? I've gotta admitt i could never pull off a centre parting but she does it well! Whilst leaving the club Nicole was looking a little "tipsy" and covered her face from the paps. It looks like they had a good night apart from Benji's minor accident.